Soccer fan receives 5-year ban on attending games after singing anti-Semitic songs, performing Nazi salute. Three British soccer fans photographed performing the Nazi salute in a pub in Volgograd, Russia were expelled from the country. The three had arrived to watch the British team at the World Cup games. In addition to the Nazi salute, they were filmed singing anti-Semitic songs. After their actions were exposed, England's Football Association submitted a criminal complaint against them, and they were brought to court. 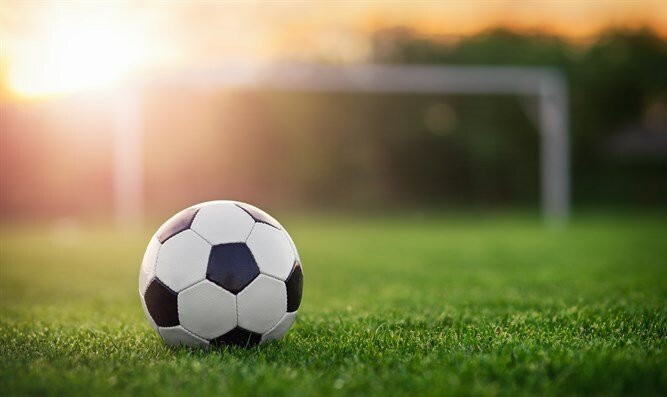 Michael Herbert, a 57-year-old resident of Derby, was ordered by a Leicester court not to attend soccer games for five years. The rulings for two others, 58-year-old David Batty and 52-year-old Michael Burns, will take place on Tuesday. Reuters quoted Detective Superintendent Caroline Marsh as saying, "The abhorrent behavior seen in this video is completely unacceptable and it will not be tolerated. Our investigation team in the UK is already making swift inquiries to identify those involved and will seek to take all appropriate action against them." In a statement, a Football Association spokesperson said, "We strongly condemn the actions of the people in this video. We are working with the relevant authorities, including the UK Police investigations team, who are making inquiries to identify the individuals involved and take appropriate action." "The disgraceful conduct of the individuals in this video does not represent the values of the majority of English football fans supporting the team in Russia."